Dean Lauderdale is a one-man-band who makes use out of his live looping to create a unique and spontaneous sound with his instruments. Great entertainment for pubs, lounges, weddings, and parties. Featuring a wide variety of music styles including: Rock, Folk, Pop, and more! His original music is heavily influenced by works of The Beatles, Bob Dylan, Earth, Wind, & Fire, Daft Punk, Mumford & Sons and Ed Sheeran. 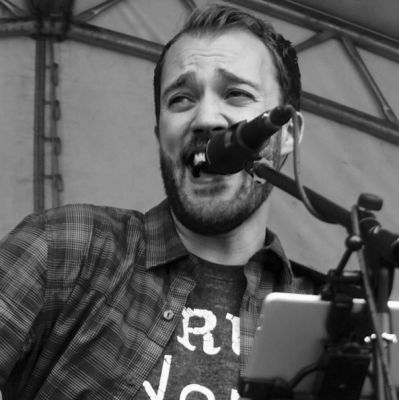 Playing acoustic guitar, electric guitar and ukulele and making use of his live looping, Dean sets the mood with his never-ending energy to create an evening of fun and excitement. With the addition of talented drummer and percussionist, Dave Espinel, Dean offers a Duo alternative known as “Twosome Arizona,” which has performed in establishments such as The Rose & Crown, Creekside Bar & Grill, and many private events.